Tim is embracing the future. 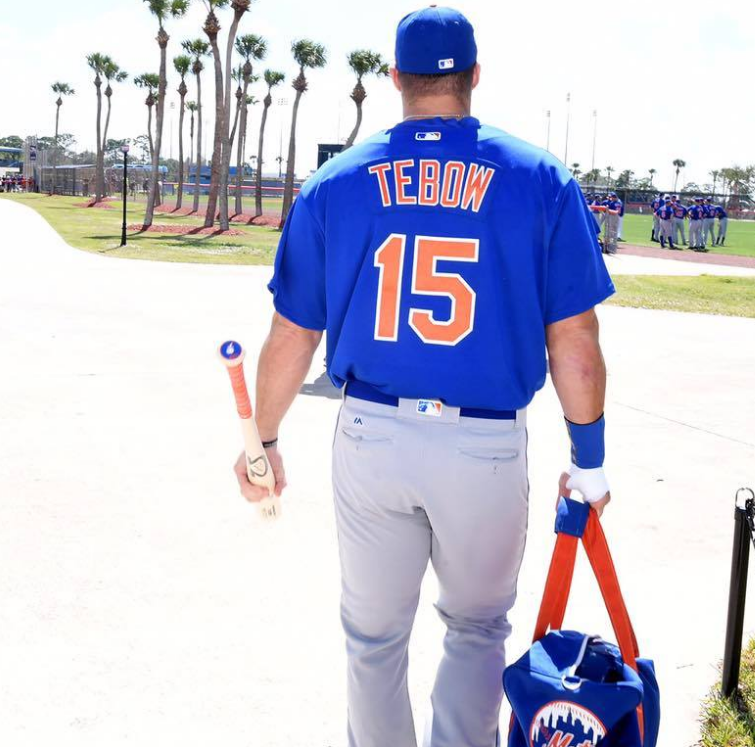 Tim Tebow started Spring Training Camp with the Mets’ minor league this week. “Grateful to begin this new journey! #LGM,” he wrote on social media to accompany the snapshot above. News sources have also quoted him saying how excited he is for the opportunity to work hard and pursue his baseball dreams. All the best to Tim on his new career in baseball! He should make it into the Major leagues in no time. All rights to the image and quotes belongs to Tim Tebow, Rich Cimini and Anthony DiComo. This entry was posted in Entertainment, News and tagged baseball, Mets, New York Mets, Sports, Tim Tebow. Bookmark the permalink.